Kim Kardashian and rapper husband Kanye West have revealed their interests in launching a children’s fashion line according to their series of Snapchats. Kim had their 3-year-old daughter, North, model in the videos. She wore a yellow sequined dress and jacket, while Kim narrated. “Wait, let me see this outfit that you’ve got on, do you see this Yeezy jacket? 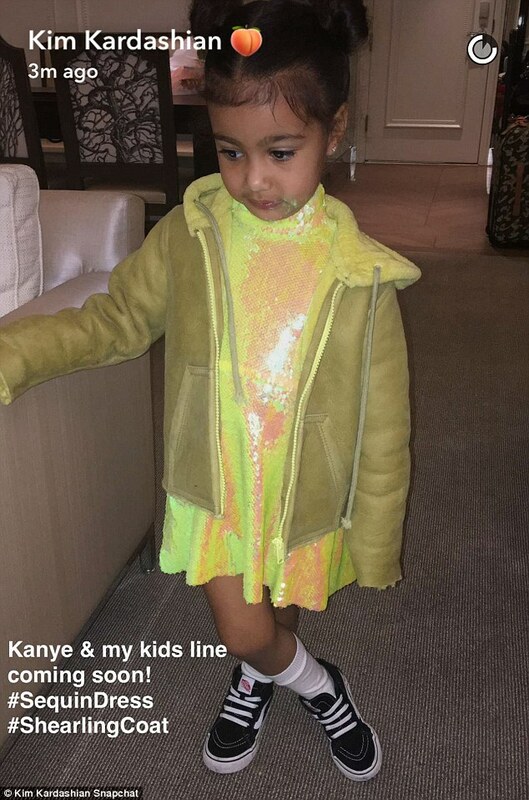 Is this a Yeezy yellow shearling?” Kim said. Then she released the news to her followers of her plans with Kanye.